I'm a slasher! I must be stopped! 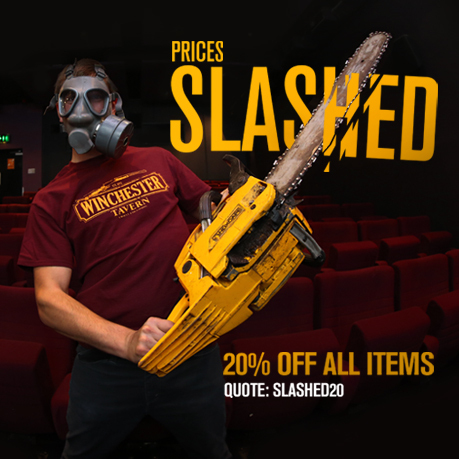 A slasher of...prices! 20% OFF everything at Last Exit to Nowhere for 24 hours. Quote: SLASHED20 during checkout to qualify. Offer ends 11.59pm (UK time) 4th October 2013. This is the last discount across all items for 2013.